Unternehmen Donnerkeil (Operation Thunderbolt)    was the codename for a German military operation of the Second World War. Donnerkeil was designed as an air superiority operation to support the Kriegsmarine 's (German Navy) Operation Cerberus, also known as the Channel Dash. In 1941 Kriegsmarine surface vessels had carried out commerce raiding sorties in support of the German U-Boats in the Battle of the Atlantic. In January 1941 Operation Berlin was launched followed by Operation Rheinübung in May 1941. The dominance of the Royal Navy's surface fleet prevented the German units returning to ports in the Baltic sea or Germany. The surviving ships, the battleships Scharnhorst and Gneisenau and the cruiser Prinz Eugen , docked in the port of Brest, France. Throughout 1941 RAF Bomber Command attacked the ships in dock. The proximity of the ports to Royal Air Force (RAF) airfields allowed a large number of sorties to be flown against the targets in quick succession. The Oberkommando der Marine (Naval High Command), and Adolf Hitler desired to move the ships out of range from potential air raids. In December 1941 the Oberkommando der Luftwaffe (High Command of the Air Force) was ordered to formulate an air superiority plan for the protection of three German capital ships to escape from France to Germany through the English Channel. General der Jagdflieger (General of the Fighter Force) Adolf Galland prepared the aerial assets for the operation. Both Cerberus and its supporting operation, Donnerkeil, were launched on 11 February 1942. During the first phase of the operation the Germans achieved surprise. The German ships reached Germany on 13 February 1942, just two days after the start of Cerberus and Donnerkeil. 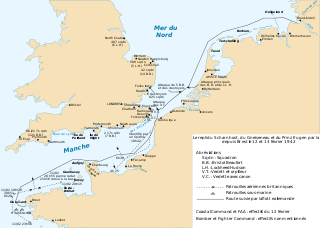 During the Channel Dash the Luftwaffe succeeded in defeating air attacks on the German ships during the operation, thus allowing them to reach German waters. In the air battles that took place over the Channel the British suffered heavy losses for a non-existent return. German losses were modest, and the operation achieved its objective. Wolf's Lair was Adolf Hitler's first Eastern Front military headquarters in World War II. The complex, which became one of several Führerhauptquartiere in various parts of Eastern Europe, was built for the start of Operation Barbarossa – the invasion of the Soviet Union – in 1941. It was constructed by Organisation Todt. The short cut of the German ships is via the English Channel. It is 240 miles from Brest to Cherbourg and another 120 miles from Cherbourg to the Dover straits. While ships could make the passage from Brest to Cherbourg or from Cherbourg to the Dover straits in the same dark period, they could not make the complete passage from Brest to Dover in one dark period. Fairey Swordfish. All that were sent on the mission were shot down. Fw 190 of JG 26, 1942. 1 2 Caldwell 1996, p. 204. 1 2 3 4 Weal 1996, p. 15. 1 2 3 4 5 6 7 Hooton 1994, p. 116. 1 2 3 4 5 6 Hooton 1994, p. 114. 1 2 3 Baker 1996, p. 190. ↑ Forsyth 2009, p. 14. 1 2 3 4 Garrett 1978, p. 89. ↑ Blair 1996, pp. 482—483, 487. 1 2 3 4 5 Hooton 1994, p. 115. 1 2 Weal 1996, p. 16. 1 2 3 Garrett 1978, p. 93. ↑ de Zeng et al 2007, p. 33. ↑ Caygill 2002, p. 41. 1 2 Goulter 1995, p. 164. ↑ Buckley 1995, p. 198. 1 2 Ashworth 1992, pp. 52—55. ↑ Franks 2000, p. 12—14. ↑ Hawes, Richard, Worth, Richard and Elrod, John. "Operation Cerberus/Operation Fuller, The Channel Dash, 11-13 February 1942." Channel Dash. Retrieved: 12 September 2010. 1 2 3 4 5 Garrett 1978, pp. 102—103. ↑ Hooton 1994, pp. 114. ↑ Treadwell 2003, pp. 92—93. ↑ Hooton 2010, p. 122. ↑ Garrett 1978, pp. 99–100. ↑ Kaplan 2007, p. 34. 1 2 Weal 1996, p. 17. ↑ Caldwell 1996, p. 207. ↑ Jackson 2002, pp. 56—57. ↑ Garrett 1978, p. 104. ↑ Baker 1996, p. 189. ↑ Garrett 1978, p. 107. ↑ Goulter 1995, p. 163. ↑ Garrett 1978, p. 95. ↑ Garrett 1978, p. 111. ↑ Garrett 1978, p. 119. ↑ Franks 2000, pp. 13—14. ↑ Foreman 2005, pp. 127—130. ↑ Weal 1996, p. 18. ↑ Garrett 1978, pp. 119—121. ↑ "RAF Campaign Diary, 26/27 February 1942." Ministry of Defence 2004. Retrieved: 20 September 2010. ↑ "RAF Campaign Diary, 27/28 February 1942." Ministry of Defence 2004. Retrieved: 20 September 2010. ↑ Garrett 1978, pp. 126—127. ↑ Garrett 1978, pp. 138—163. ↑ Winton 2003, pp. 130—160. ↑ Goulter 1995, p. 165. 1 2 Goulter 1995, pp. 166—167. ↑ Jackson 2002, p. 59. The Channel Dash or Unternehmen Zerberus was a German naval operation during World War II. 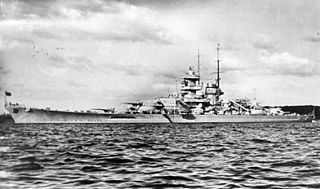 A Kriegsmarine squadron of both of the Scharnhorst-class battleships, the heavy cruiser Prinz Eugen and escorts, ran a British blockade from Brest in Brittany. Scharnhorst and Gneisenau had arrived in Brest on 22 Mar 1941 after the successful Operation Berlin in the Atlantic. Further anti-commerce raids were planned and the ships used the dockyard facilities at Brest for refit and repair. They represented a substantial threat to Allied trans-Atlantic convoys, so a series of air raids were carried out by the Royal Air Force (RAF) against the two ships from 30 Mar 1941. Serious damage was inflicted on Gneisenau on 6 April 1941 and on Scharnhorst on 24 July 1941 after dispersal to La Pallice. As the repair of this damage reached completion in August, consideration was given to evacuating the ships. Wing Commander Brendan Eamonn Fergus Finucane,, known as Paddy Finucane amongst his colleagues, was a Second World War Royal Air Force (RAF) fighter pilot and flying ace—defined as an aviator credited with five or more enemy aircraft destroyed in aerial combat. Jagdgeschwader 5 was a German Luftwaffe fighter wing during World War II. It was created to operate in the far North of Europe, namely Norway, Scandinavia and northern parts of Finland, all nearest the Arctic Ocean, with Luftflotte 5, created specifically to be based in occupied Norway, and responsible for much of northern Norway. Karl-Heinz Greisert was an officer in the Luftwaffe. He served in the Condor Legion during the Spanish Civil War. During the Second World War he participated in the air battles over France and England. He was made commanding officer of II Gruppe of Jagdgeschwader 2. For three months he served as acting commander of JG 2 after his commander had been killed in action. Following the Battle of Britain he remained in the west and was involved in a number of air battles over the English Channel and northern France. In June 1942 he was transferred to the eastern Front where he took command of III Gruppe of JG 3. A month later he was killed in action in the course of a low altitude air battle. He was credited with 34 victories, and was a recipient of the Spanish Cross and the German Cross in Gold. Wilhelm-Ferdinand "Wutz" Galland was a German Luftwaffe military aviator and fighter ace during World War II. He is credited with 55 aerial victories achieved in 186 combat missions. All his victories were claimed over the Western Front and in Defense of the Reich. This figure included seven four-engine bombers and 37 Supermarine Spitfire fighters. Caldwell, Donald; Muller Richard (2007). The Luftwaffe Over Germany: Defense of the Reich. Greenhill books. ISBN 978-1-85367-712-0.
de Zeng, H. L., D. G. Stanket and E. J. Creek. Bomber Units of the Luftwaffe 1933–1945: A Reference Source, Volume 2. London: Ian Allan Publishing, 2007. ISBN 978-1-903223-87-1. Franks, Norman (2000). Fighter Command Losses of the Second World War: Volume 2, Operational Losses, Aircraft and Crews 1942–1943. 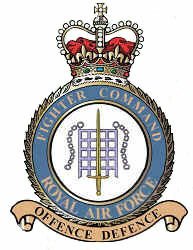 (Incorporating Air Defence Great Britain and 2nd TAF). Midland. ISBN 1-85780-093-1. Jackson, Robert. The Bismarck. London: Weapons of War. Weapons of War. 2002. ISBN 1-86227-173-9. Treadwell, Terry C. Messerschmitt Bf 110. (Classic World War II Aviation). Bristol, Avon, UK: Cerberus Publishing Ltd., 2005. ISBN 1-84145-107-X. Weal, John. Focke-Wulf Fw 190 Aces of the Western Front. Oxford: Osprey, 1996. ISBN 1-85532-595-0.